It’s too soon to know whether the ceasefire between Israel and Hamas will be more than a sticking plaster to be ripped off by more violence whether provoked by Israel or not, but while we wait for events to give us the answer, there is a good case for saying that under Netanyahu’s leadership the Zionist (not Jewish) state has suffered a significant defeat. One small clue that Netanyahu and his leadership colleagues know this was a statement to the BBC this morning by Mark Regev, the prime minister’s Goebbels-like spin doctor. He said, “We didn’t want this escalation.” Even by Regev’s own standards that was a big, fat propaganda lie. It was to trigger the escalation that Netanyahu ordered the assassination of Hamas’s military chief. (It now seems more than reasonably clear that he was within an hour or so of signing an Egyptian-sponsored agreement for a prolonged truce when he was murdered). and unilateral ceasefire by Hamas. Hamas’s isolation is over, ended. The Obama administration and European governments may still refuse to recognise Hamas and talk directly and openly to it, but they are as good as doing so when they engage with Egypt’s President Morsi. President Obama had the good sense to realise that he can do business with the pragmatic Morsi. In today’s Ha-aretz there is a fascinating and revealing account by Barak Ravid of what happened behind Netanyahu’s closed doors. The essence of it was that Defense Minister Barak “wanted it” (the truce on more or less Egypt’s terms); Foreign Minister Lieberman (who subsequently changed his mind) started out “demanding a ground invasion”; and Netanyahu “vacillated”. My own speculation is that Netanyahu finally decided that it would be too costly for Israel in diplomatic and political terms to say “No” to Obama and many other leaders who insisted that Israel had to agree to a ceasefire on more or less Egypt and Hamas’s terms in order to prevent further de-stabilization in the region. (The extent to which Netanyahu was worried about the possible consequences for Israel of saying “No” was indicated by the fact that a few rockets were fired into Israel after the ceasefire came into effect, and Netanyahu did not allow himself to be provoked into responding with more bombs and missiles). That said it is also the case that Netanyahu’s negotiators did create some wriggle room for their master. How so? The ceasefire document is not a binding agreement. It is a list of undertakings which are still to be worked out in detail and agreed. (It has to be acknowledged that Zionism is without equal in the business of finding ways not to honour commitments it makes in agreements). There are three main and related questions arising. The first is to what extent will Israel actually lift its blockade of the Gaza Strip? The second is to what extent will Egypt succeed in preventing Hamas being re-armed by smuggling even if President Morsi has the will to succeed on this front where Mubarak failed? (The nuclear-armed Zionist state insists that it must be allowed to go on expanding its arsenal with the latest weapons, actually for offensive purposes, but Hamas must not have any weapons for defensive purposes). The third is does Hamas have the ability to prevent violent Islamic fringe groups firing rockets into Israel? (It has to be said that its ability to do so has not been helped by the assassination of its military chief). Another interesting question is this: What impact if any will Netanyahu’s acceptance of a ceasefire on more or less Egypt and Hamas’s terms have on his chances of emerging from Israel’s January election with a stronger than ever and unchallengeable coalition majority? According to a snap poll taken very soon after the ceasefire announcement, 70 per cent of Israel’s Jews said they were opposed to the deal, meaning, presumably, that Netanyahu was wrong to agree to it. If that is and remains the view of a majority, we can expect to see Netanyahu aligning himself even more closely with the forces of the truly fascist right between now and the election. In a best case scenario the ceasefire between Israel and Hamas will last and life for the Palestinians of the Gaza Strip will improve, but the fundamental problem will remain – Israel’s on-going colonization and ethnic cleansing by stealth of the occupied West Bank, the proof that Zionism is not remotely interested in peace on terms the Palestinians could accept. The big difference now is that the US has been replaced by Egypt as the main force steering relations between Hamas and Israel. Morsi, while aware of the need to maintain security, will not abandon his principles, among which is his loyalty to Palestine. Obama and Clinton didn't even join the game until the 9th inning. Obama called the attack on Gaza a "crisis du jour" as he and Hillary stuffed themselves with Thai food in Bangkok. It gave Hillary a chance to take credit for Morsi's hard work, go out with a bang, and get the AIPAC backing she will need to run for POTUS in 2016. Some American commentors has called the cease-fire as Obama’s “sweet revenge”! Personally, I believe, the US-Israel latest fiasco has accomplished in stitching together a divided leadership and people together around a common cause. It has brought pro-USrael Mahmoud Abbas and Salam Fayaad closer to anti-Assad-Hizballah Khaled Meshaal and pro-Iran Ismail Haniyah. What? Haniyeh is not pro-Iran. Hamas has ended its support for Assad. Morsi is now endeavoring to bring Hamas and Fatah together to unify the Palestinians politically, as a united front against Israel. This table (found on the Diaspora social networking site) on the correlation of Israeli attacks on Gaza with Israeli elections is quite interesting. It suggests that the attack--like previous assaults--was politically motivated. However, if 70% of Israelis think the ceasefire was wrong it could backfire on Netanyahu. maryam - wake up. After the cease-fire announcement in Cairo - not only Haniyeh praised Iran's decades-old support - but even Meshaal shamefully acknowledged Iran's military and financial contribution to make what Hamas and Islamic Jihad is today. Meshaal, a Jordanian citizen, showed his disloyalty toward a regime which protected and supported him for the last 11 years - during which Saudi, Qatari, Egyptian and Turkey refused to give him refuge. The reasons he has turned against Assad , is - the West has promised to installed him the first president of Jordan once all native Palestinian are expelled to Jordan as the new Palestine state. How honest broker is Dr. Morsi? Just remember, he still has refused to visit Gaza or the west Bank - and maintain diplomatic relations with the anti-Arab Zionist regime. The reality is dear - like Turks, Palestinians have been fooled by the western colonialists and their Arab poodles. Show me a link, Rehmat. A reputable one, not a blog post of someone's opinion or a Jewish Zionist news source. They quote Haniyeh thanking Iran for the weapons. That is not the same as forming an alliance with Iran. Do you always engage in such illogical thought process? Also show me something that says Morsi "refuses to visit Gaza or the West Bank." If Israelis don't want war, why did they re-elect Netanyahu? Mister Hanyah said in his victory speech that the main achievement of HAMAS - by it's show of force by new missiles capabilities - is GAZA is now immune for ever from ground invasion by Zionists. I think that the lessons learned from this last war are still incomplete: for the second time(after 2006 war against HezboAllah) the war is transported within the Israel territory by small militia groups. When the Israel huge and high tech arsenal (both conventional and unconventional) can't turns it's enemies to act according according to it's will it means that the future of the bases on which this country has founded it's relations with it's neighbors will be revised dramatically. It's just a matter of time... Unless the Zionist political leadership is insane and unpredictable: in this last case this state has no future since it will implode. Rehmat! What's the problem with Iran? It's simple: when you give your petrol and money to the US you are good like the saudis. When you refuse you are demonized!!! @ Mohamed Salem - What a piece of Arab sectarian ignorance! America has not purchased Iranian oil for the last 30 years - and it has been forcing it allies to do the same by putting new sanctions every year. The problem with Iran is its presents an alternative to Arabs who have been living as colonial sheep for over 150 years. @maryam - is Israel's top English newspaper is a reliable source for you? If it's - then read its November 21 headline: "Mohammed Morsi: Israel's brother". Morsi was not the first choice of Muslim Brotherhood. He is not a Muslim scholar or a so-called "Islamist". According to Islamic Sharia'h any Muslim who kills a fellow Muslim or a non-Muslim other than "self-defense" is a MUNAFQ. Haniyeh visited Iran after Meshaal closed Hamas' Damascus office for Qatari $250 million - against Meshaal's pursuations. Standing next to Ahmadinejad, Haniyeh, had declared: "We will never recognize Israel as a state". Read the Ney York Times, February 2012. You still haven't proven your points, Rehmat. I cannot make any sense of your thought process. While Shimon Peres, Tony Blair, Hillary Clinton, Barack Obama, Erdogan and Qatari Emir have heaped praise on Morsi - Israeli opposition leader Gen. Shaul Mofaz and Muslim Brotherhood top leader Mohammed Badie have Morsi-brokered cease-fire as treason. Before 1979 who tranformes Iran's Chah into a plane carrier with the iranian money? Who open to Iran to the nuclear technology (FRAMATOME)in this period? Seems your culture is basic!!! The recent Israeli aggression against Gaza was unprovoked, contrary to what all the the not-so-honest media tried to peddle: put the blame at the Palestinians' door. Only two days before targeting Hams's military chief did Israeli artillery kill three children-including an eleven-month old baby.Hamas's man was working on a cease-fire when he was assassinated.All three men of Israele's cabinet announcing the cease-fire-i.e.Netanyahu,Barak and Liebermann, were using the aggression for a knock-on effect in the upcoming elections.But,if one is to believe face language, all looked disappointed. This was revealed in Netanyahu's lingering threat that Israel would still punish any breach of the ceasefire; in Barak's immoral boasting of killing 130 Palestinians( the real number was higher)to justify the indiscriminate rocketing which characterised the last two days of the aggression; and in Liebermann's usual abrsive manner.Fact is, all of them knew that a land invasion would shatter what is left of their confidence(arrogance, that is)for,not only it would turn all world opinion again against them-for that would entail a large-scale massacre of Palestinian civilians- but it would also, ultimately, as in 2006,mean dozens of coffins travelling north. traveller.Begin learnt it the hard way in 1982,the same Barak had a taste of it in 2000, and Olmert in 2006. On November 23, Ibrahim al-Amin, editor-in-chief of Lebanese daily al-Akhbar, had warned the Palestinians and their foreign supporters about the US-Israeli plan in motion to demilitarize Islamic resistance groups by creating an Egyptian-lead Sunni block (Muslim Brotherhood, Saudi arabia, Qatar, Turkey, Fatah, Jordan and the Gulf sheikhdoms) against Iran-led Shia block (Islamic Revolution, Hizballah, Syria and Iraq on the margins). 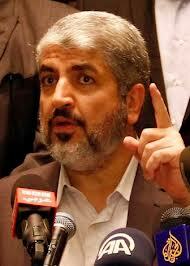 “Hamas will have to choose between Iran and Egypt. If Iran could offer missiles and money, Egypt will offer immunity from Israeli attack, sovereignty over Gaza, and an open door to the world,” wrote Ibrahim al-Amin. Read full article here. If Sunni-majority Hamas chose to join Egyptian block, it had to come hard on other resistance groups like pro-Iran Islamic Jihad and pro-Assad Popular Front for the Liberation of Palestine (PFLP) and even Fatah’s al-Aqsa Brigade. This will open the door to a civil war which would be Israel’s biggest dream come true. To my way of thinking, israel DID lose this confrontation. The issue here, to me, appears to be time. Ersatz israel does not have indefinite time to take over Palestine. This event didn't bring the zionists closer to their goal. They also alerted more of the global population to their activities. They added another straw to their back.